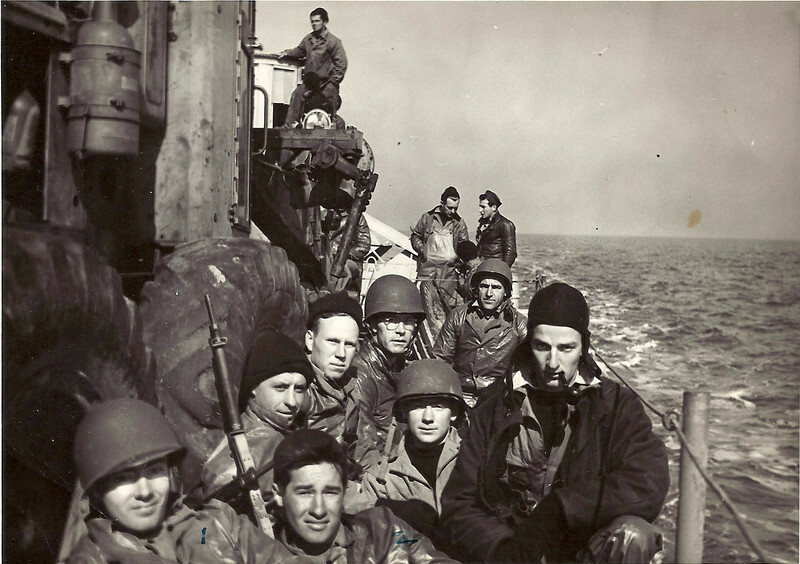 Invasion barge on the way to Cat Island, Jan. 1944. McKee is the fella real close with the helmet.Schumaker with the stocking cap. Carey between 'Manny' and Murtaugh, the photographer. Behind 'Manny' is Nick, then Ward with the helmet. Way back is Reiman (possibly Reaman). We're sitting beside a road grader.